Amazon has just launched a product for those who think the $99 Fire TV set top console is either too expensive, too bulky, or does more than they need (I am describing myself). 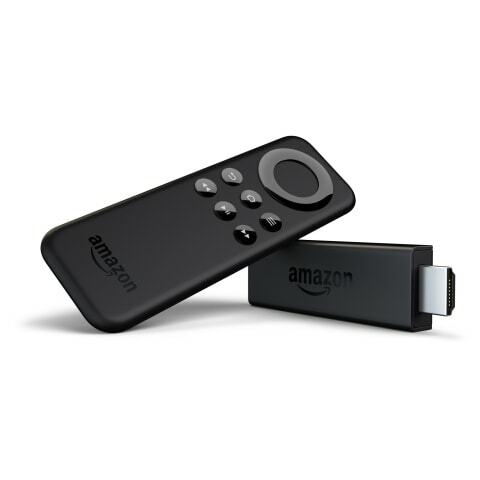 The Fire TV Stick is that Chromecast competitor which Techcrunch first reported on in March 2014. This $39 dongle plugs into the HDMI port on your TV and streams content from Amazon. It doesn't have the gaming abilities of the Fire TV box, but it does offer all the same streaming fun, including Netflix, Hulu, Showtime, Crackle, Amazon instant Video, and many more. Technical details are still scarce, but the product listing says that the Fire Stick runs on a dual-core CPU with 1GB RAM and 8GB internal storage. It also comes with a basic remote which is somewhat less capable than the Fire TV remote, but all in all the new Fire Stick has much better hardware than its immediate competitors. The Chromecast doesn't ship with a remote, and neither the Chromecast nor Roku's dongle can match the CPU, RAM, and storage specs of the Fire Stick. And even though it can't match all of the abilities of the Fire TV, the Fire Stick can still play some games, including Monsters University, Ski Safari, and Flappy Birds Family, and it can also stream music. The Fire Stick is also designed to pair with a Fire tablet or a Fire Phone so you can stream content from the tablet to the Fire Stick. Amazon has also released a new app for the Fire Phone which lets you search for content verbally. And best of all, the Fire Stick is on sale for the next couple days. Prime members can pick it up for only $19, and get free delivery when it ships on 19 November. At that price, you can bet I got one. I'm not one to watch tv on my tv anymore; I much prefer my Fire HD tablet. But I still have a TV, and for $20 I would most definitely be interested in moving some of my tv watching back to the medium screen. Amazon does two things well: customer service and delivery of content. The reason the Fire tablets are doing well while the Fire Phone fizzled is because the latter doesn't serve any real content delivery need, not in the way that the Fire media tablets do. Similarly, the Fire Stick will have great sales because it's cheap and because it builds on one of Amazon's strengths. And that is probably what Amazon is counting on, and why Amazon is going to sell more of Fire Sticks than they hoped. Are you planning to buy one? At $19? I’m definitely getting one. Amazon Prime Video and Netflix would be all I’d use it for…might as well go cheap. Should be nice stocking stuffers. It’ll be interesting to see if it can be sideloaded like the STB. You just sold two more. Thanks for the heads up. I bought two. They’re small. Can’t stand the software on my BluRay player… slow with an awful UI. Plus, I couldn’t resist the price of this gadget, really. I bought one for my husband to take with when he travels, and one for my mother-in-law who was considering buying a Fire box or Roku. If she doesn’t want it, I’ll keep it for when my husband inevitably leaves the first one in a hotel room. I bought one. I am not satisfied with the Roku stick. Since this one has better specs, hopefully it’ll stream better. I bought one. For $20 it is a steal. Ditto, so it free’s up a router that’s currently feeding a blue ray player netflix content (as the player hasn’t got wifi).